Almost certainly most sky atlas programs that require the payment of a license fee will be suitable for use with Asimoplan. The following freeware programs are known to be suitable. 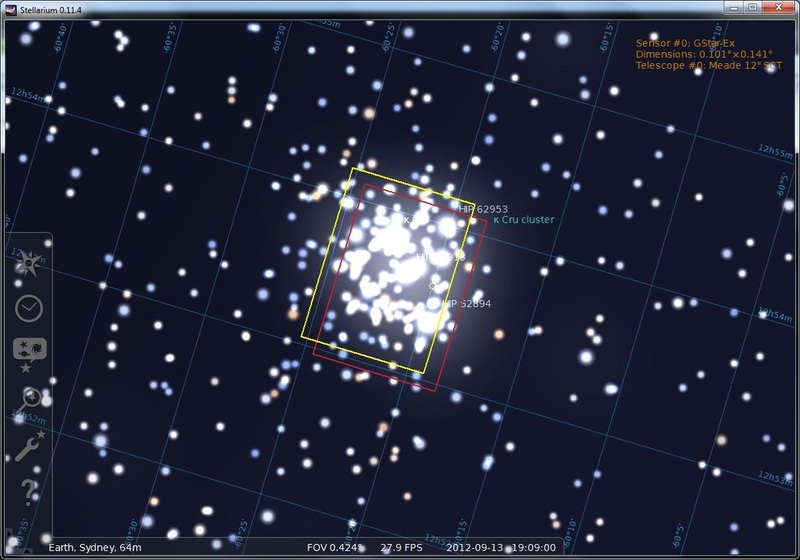 Cartes du Ciel, C2A, Stellarium and Virtual Moon Atlas. In principle Asimoplan will work with any sky atlas program. That said, there are some matters that need to be considered. You will want to zoom your sky atlas display so that the object or area of sky to be covered by your mosaic mostly fills your screen. That involves a significant degree of magnification. 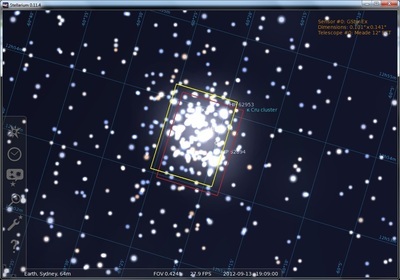 The sky atlas therefore needs to be able to display sufficient detail (field stars, deep sky object outline, etc.) at that magnification level to allow you to design the mosaic. 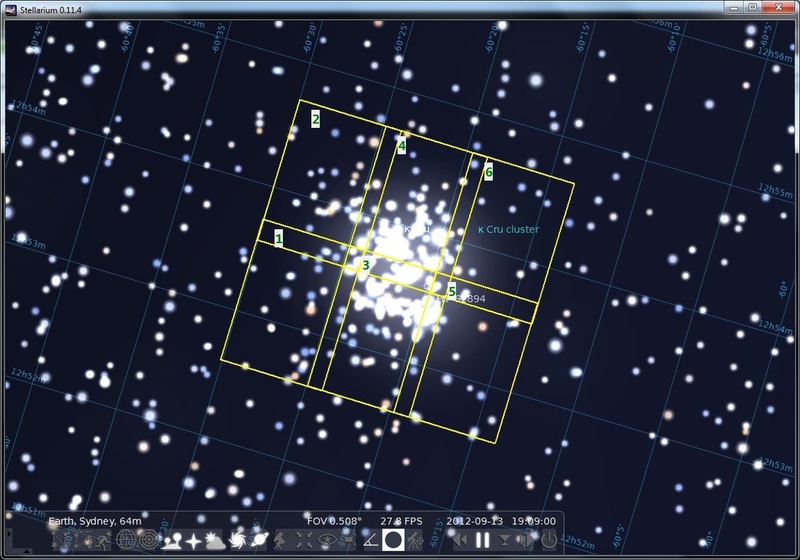 Most sky atlas programs let you download catalogs of stars to a level that will meet this requirement. Some also let you download images (for example from the Digital Sky Survey) that contain a wealth of detail. For various reasons you will want to determine the right ascension and declination coordinates of a chosen position in your sky atlas display. Many sky atlas programs track your mouse cursor and report the coordinates where it is pointing. Other sky atlas programs may use a different method for reporting the coordinates of a selected position on their display screens. But whichever method is used it is an advantage if the coordinates are reported at a fine level of accuracy. Preferably declination coordinates should be expressed down to arc-second level and right ascension coordinates down to 1/10th of a second. A coarser level of reporting can be used but you may need to extrapolate between adjacent readings. Many sky atlas programs will display a rectangle that represents the shape and imaging size of your camera. This is a decided advantage when using Asimoplan but the existence of this feature is not essential. You can use a sky atlas program that does not have this feature.